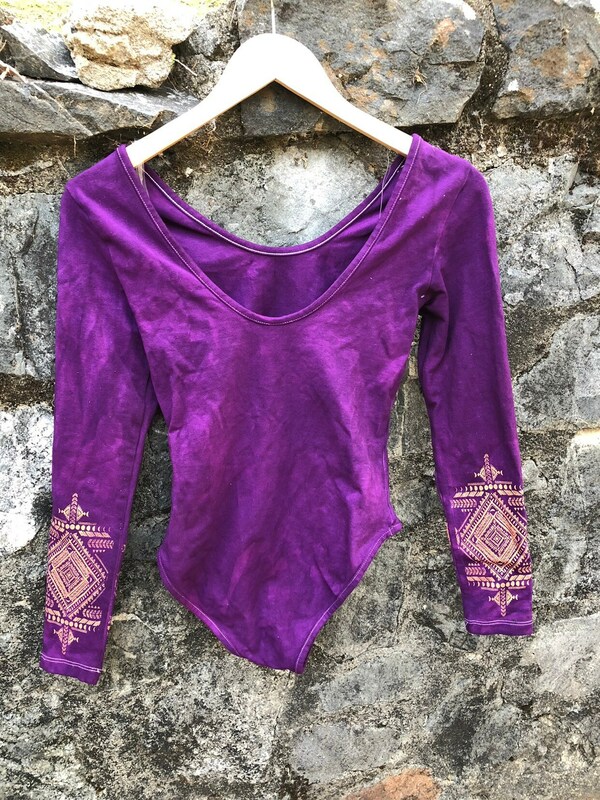 Δ Long sleeve leotard with Cotton/Spandex Jersey (95% Cotton / 5% Elastane) construction. Δ Features a low scooped back and a moderate coverage bottom. 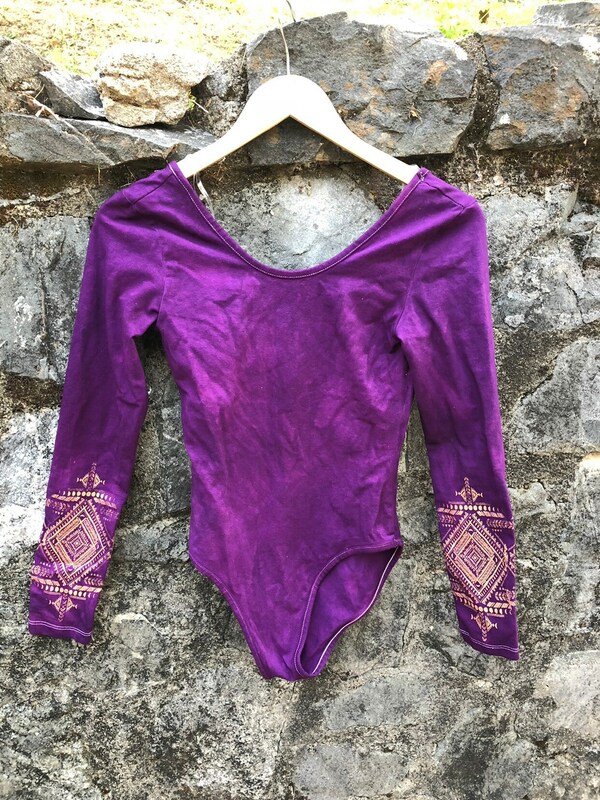 Δ Versatile leotard... Perfect for fall and winter layering under your favorite long cardigan, vest or shawl! Δ Available in Small, Medium, and Large. These run true to US Women's sizing. 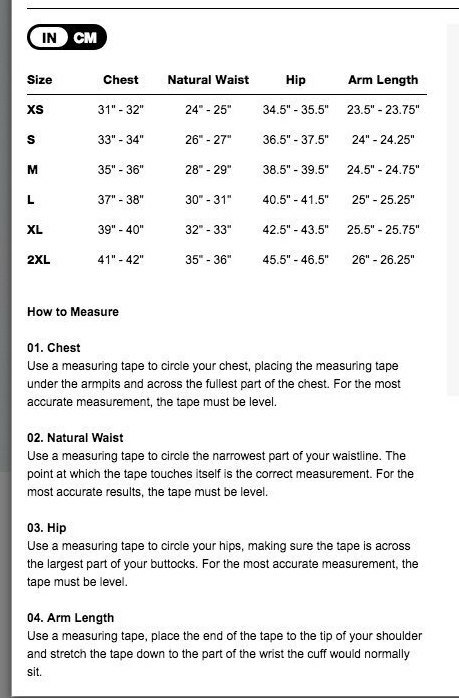 For size chart and measurements, check out the last image (measurements in inches). 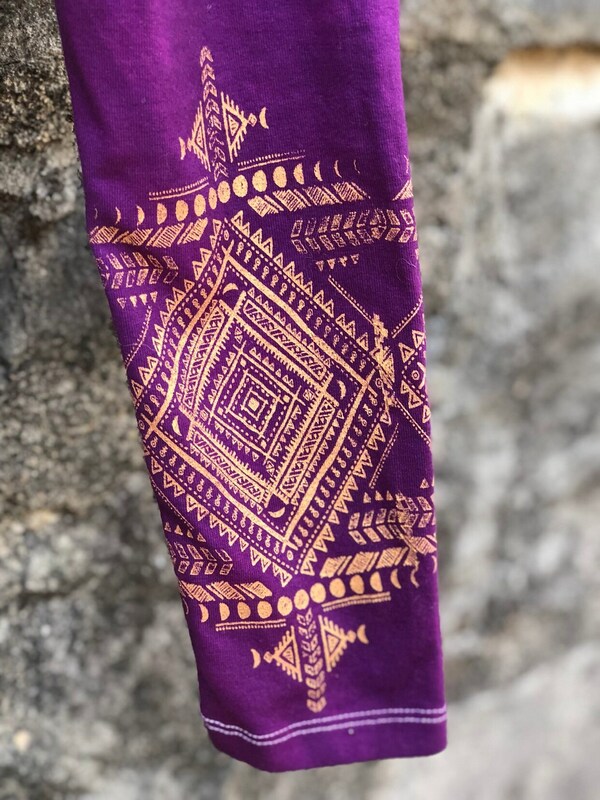 Δ These leotards are dyed by us using a VAT dye technique.